Spend two days in Denver, and get to know your colleagues from around the nation and learn about all major developments in IP and tech law, at one of the nation's largest gatherings of IP and tech law professionals. Here’s a Sneak Preview from the 2019 RMIPI Script! • ChIPs and Solo Small Firm Breakfasts! 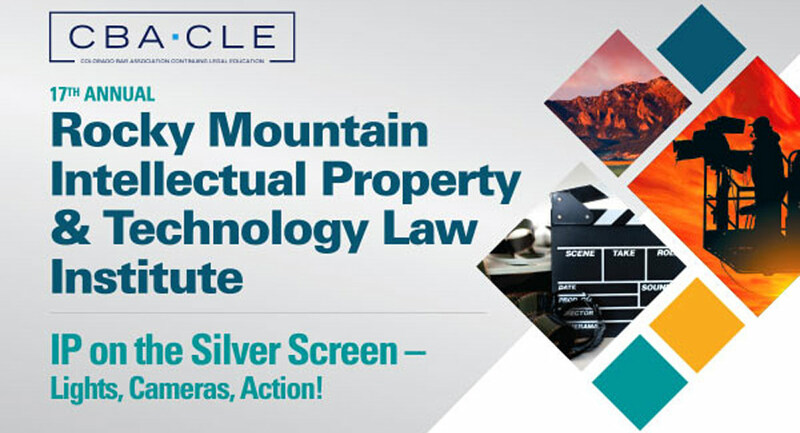 Co-sponsored by the Intellectual Property Law Section of the Colorado Bar Association, Stanford Law School, Stanford Program in Law, Science and Technology, the Copyright Society of the USA, and the ABA Section of Intellectual Property Law, and in cooperation with the Rocky Mountain Regional Office of the U.S. Patent and Trademark Office.